In the forklift industry reliability issues can quickly damage even the best reputation. So, when a leading European manufacturer of forklifts experienced coupling failures in the steering columns of some of its products, Huco Dynatork was able to provide a high quality solution. 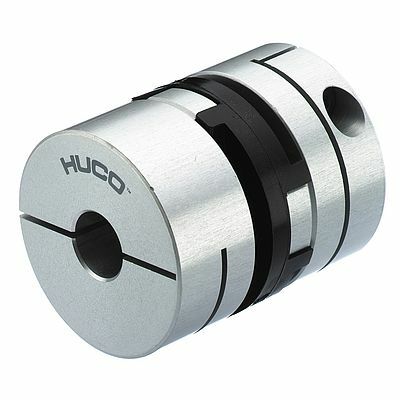 Huco’s Oldham Style couplings proved the perfect fit, delivering precise steering and complete reliability. Due to the speed and tight cornering requirements of many forklifts, the steering column coupling is often exposed to high loads and sudden changes of directional force. In lower quality components this can quickly lead to a failure, which in turn leads to a steering failure in the forklift. In a busy environment the cost of downtime for a forklift can be extremely high, to say nothing of the maintenance costs. In a competitive market this type of failure can be very damaging so the manufacturer approached the market to find an alternative component. The manufacturer approached European Transmission Co. (ETC), a distributor of power transmission components based in the Netherlands. As a supply partner for Huco Dynatork, ETC knew that the brand’s Oldham Style couplings would answer all of the manufacturer’s needs. Extensive testing was carried out on the suggested components which confirmed that they met the performance requirements of the application. As a leading manufacturer of precision couplings, Huco Dynatork, part of Altra Industrial Motion, is renowned for its Oldham Style range. The Oldham Style design transmits torque through a central disc that slides over the tenons on the hubs under controlled preload conditions. This eliminates backlash and protects against shock loading – which is perfect for steering applications. Manufactured using high quality materials, and with strict in-house testing and monitoring, the Huco range is one of the most reliable on the market. The torque discs and hubs supplied with the coupling are available in different materials, making it easy to configure the performance of the coupling for different applications. A ‘through-bored’ variant is also available, and has been specified by the manufacturer, which allows disc replacement without disturbing shaft alignment – making ongoing maintenance a simpler task. ETC has reported that the manufacturer is extremely satisfied with the performance of the couplings, which have been specified for the company’s next generation forklift and are the standard replacement component for existing units in service.